The comfortable and sleek Chrysler 300 is the perfect option to make an impression, whether it’s for a client meeting, airport transfer, or date night. We always make sure the luxury interior is excellently maintained so you can enjoy the leather seats and tinted windows to the fullest extent. There’s plenty of space for luggage and complimentary bottled water is included. 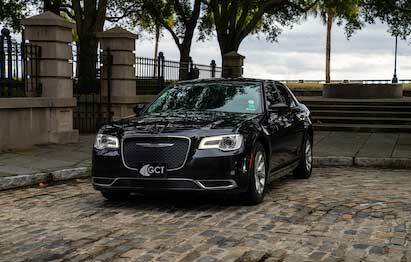 All of our Chrysler sedans are driven by one of our professional chauffeurs. Comfortable for 1-2 Passengers. 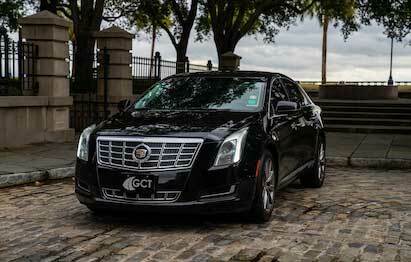 Arrive in style in our sleek Cadillac XTS sedans. With plenty of luggage space, this sedan is the perfect option for Charleston Airport transfers – and it’s aggressive exterior is sure to impress for executive meetings. The Cadillac’s meticulously maintained interior features leather seats, tinted windows, and complimentary water. Every trip in our Cadillac sedans is chauffeured by one of our professional drivers. Comfortable for 1-2 Passengers . 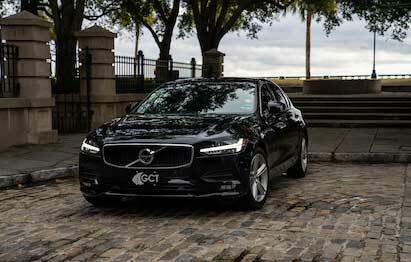 The S90 is a luxury brand all its own. 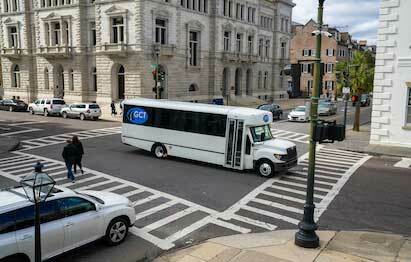 This is the perfect vehicle for business or pleasure in Charleston. Get to client meeting, airport transfer, date nights, and more. The Volvo S90 offers simple but elegant interiors with luxury leather seating, renowned for their comfort. The Volvo offers a unique blend of technology and luxury with expansive space. Comfortable for 1-2 Passengers. The Mercedes S-Class is what every luxury car aspires to be. Arrive in elegance to special events and more in the Mercedes S550 sedan. The S-Class cabin is sculpted, sewn, appointed and equipped with state-of-the-art controls for climate comfort, fragrance, massage, lighting and music. 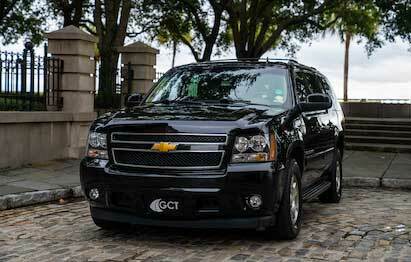 Perfect for executive transportation in Charleston, SC. 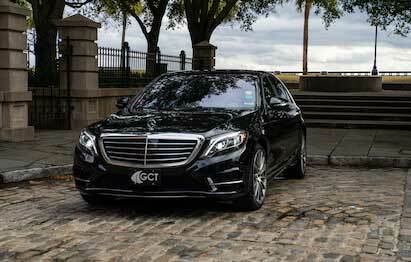 Every trip in our Mercedes S550 sedan is chauffeured by our professional drivers. Comfortable for 1-2 Passengers. 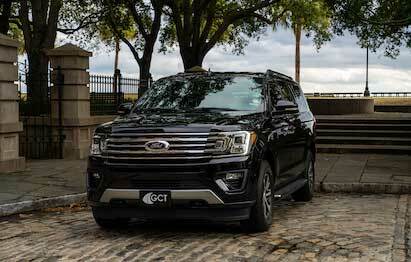 Our Expedition Max SUVs in Charleston are the perfect choice for your group transportation needs. Equipped with all of the standard features that you deserve, our SUV car services are a smooth and safe ride. Each of our Expedition Max’s come equipped with interior leather seating, tinted windows for privacy, auxiliary audio inputs, and plenty of space for you and your belongings. And with the Max series, each Expedition can seat up to 6 people. Bottled water is provided during each trip for your comfort, and Going Coastal’s SUV chauffeurs are there to assist you with doors and baggage. Comfortable for 1-6 passengers. With room for up to six people and their luggage, our Chevy Suburbans are the best option for medium-sized groups. All of our Chevy Suburbans include leather seating, tinted windows, complimentary water, and even auxiliary audio inputs so you can set the mood. Our professional chauffeurs can assist with doors and baggage, and get you to your destination in a safe and timely manner. Book a Charleston car service today! Comfortable for 1-6 passengers. 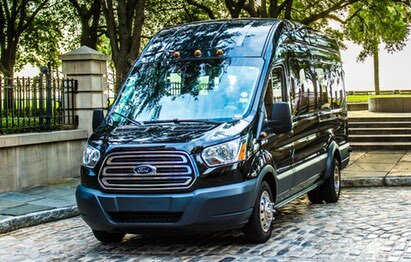 Our luxurious Ford Transit vans are the perfect transportation solution in Charleston for large groups, with seating and luggage space for up to 14 people! These shuttle vans include leather seating, bottled water for every passenger, and plenty of legroom to make your ride as comfortable as possible. Our professional chauffeurs are well trained on these specific vehicles, so you can travel knowing you’ll get to your destination safely. Comfortable for 1-14 passengers. 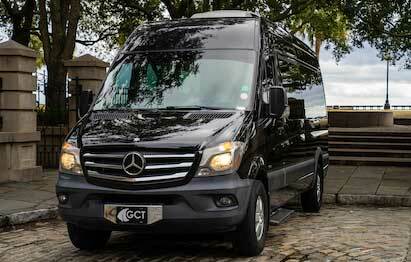 The Mercedes Sprinter is the most luxurious transportation van in the business, and our Executive Vans are no exception. With plenty of luggage space, and spacious leather seating for up to 14 people are standard on our Executive Vans. Travel in comfort knowing that a professional chauffeur, who has been specially trained with our executive shuttles, drives each one of our Sprinters. Our sprinters are ideal for weddings, parties, and more. Each trip that you take with us also includes bottled water for you and your guests. Comfortable for 1-14 passengers. Our 53 passenger motorcoaches offer reclining seats with plenty of legroom, adjustable footrests, and individual reading lights. 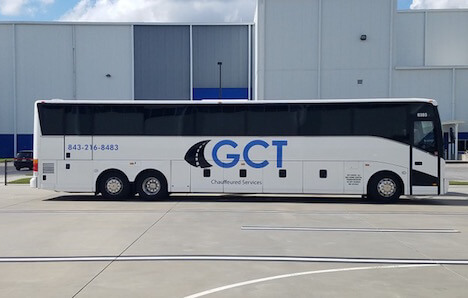 Our large charter coaches are equipped with restrooms, overhead racks for carry-on bags, climate-controlled air conditioning & heating, plenty of weatherproof luggage compartments with storage space for all of your guests’ luggage, and audio/video equipment including a PA system. The perfect bus for large parties. Book a motorcoach in Charleston for all your tour and large group transportation needs. Room for up to 53 Passengers.